In the colony of Massachusetts, many believed in the supernatural. The majority of people in Massachusetts were Puritans, who had a strong belief of the work of Satan, demons, and evil spirits in the world. The idea of a person using these supernatural beings became known as dark magic, and the practice of dark magic was known as witchcraft. Witchcraft and dark magic was used to explain bad crops, strange sounds, and many other bad occurrences. In 1692, Betty Parris and Abigail Williams, who were 9 and 11 years old respectively, began to have fits . They began to scream, throw things across the room, crawl under furniture, and contort themselves into peculiar positions. The doctor, William Griggs, found no physical evidence of ailment, but soon, many other women in the town began experiencing similar symptoms. 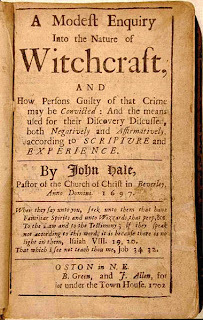 Soon, several women were arrested for using witchcraft to afflict the young women. These accused "witches" were Sarah Good, a homeless beggar, Sara Osborne, a woman who didn't attend church, and Tituba, an African slave. These women were the first to be sent to jail for witchcraft. 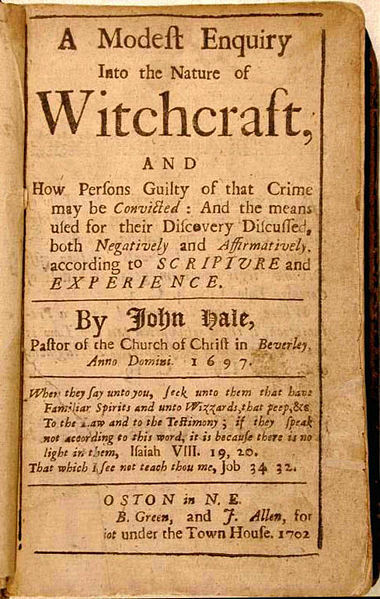 Over the next four years, many more women were arrested for witchcraft. On August 19, 1692, the first six "witches" were executed in Salem. The witch hunt spread across Puritan Massachusetts, and dozens of women were arrested, and a total of twelve women were executed as witches.